A TRIP TO HONG KONG FOR A DIAMOND DEALER, WHO JUST HAPPENS TO ALSO BE AN ADMITTED FRAUDSTER AND CON-ARTIST. We saw this story and found it quite astonishing. Jona Rechnitz has admitted to guilt for numerous crimes, crimes of significant magnitude, for which at least one member of the Platinum family, just got sentenced to 30 months. He has testified with a level of arrogance fit only for rich, entitled, unrepentant fraudsters, flippantly waiving around the word “truth” as if he knows the significance of its foundation in the English language and jurisprudence. He has been smug, lied, admitted to numerous infractions of morality, ethics and the law and now he asks to be allowed to Hong Kong to attend a jewelry show. Have we lost our collective minds? Perhaps he wants to ask his friends and accomplices for a “bisel gelt” [a little bit of money] to buy something nice, or to grease the palms of someone who can? He is one of a group of white, privileged criminals running roughshod over the law. Let’s not forget that his early career started with a position working for LevLeviev’s Africa Israel. Leviev, a diamond magnate in his own right, is unable to travel the world these days as a result of the criminal laws of multiple countries. It is unclear whether Rechnitz and his well-connected family has broken ties. And let’s be reminded that the Israeli justice system is trying to maneuver testimony from that same Leviev regarding a major diamond smuggling endeavor. And Judge Hellerstein is being asked by a begging Jona Rechnitz to attend a jewelry show in Hong Kong? And the prosecutor is agreeing on condition that Rechnitz’s wife surrender her passport? Has the prosecutor not thought this through? The exchange for Rechnitz’s wife’s passport is but a joke, a circus stunt. Both Jona Rechnitz and his wife likely carry numerous passports and the surrender is thus insignificant. Moreover, the ideal guarantee that Rechnitz would return from the Hong Kong jewelry show without a new bank vault of difficult to trace assets would be to freeze all of his bank accounts while he is gone… and perhaps those of his family and all of their closest friends and associates. Judge Hellerstein, you got the Murray Huberfeld verdict right, please think about what is really going on here. You are being asked to help a very wealthy, entitled, dishonest and connected man get just a little bit wealthier. He has committed crimes. He should not be rewarded for his willingness to testify on behalf of the government when few can discern if his testimony was lies, truth or some combination of the two. A Mayor de Blasio donor who is out on $500,000 bail pending his sentencing for bribing cops wants a judge to allow him to travel to Hong Kong for a jewelry show later this month, according to new court documents. Jona Rechnitz — a government cooperator who testified at two corruption trials — is asking Manhattan federal Judge Alvin Hellerstein to allow him to travel for nine days starting Feb. 25 “to attend an international jewelry show” for business, lawyer Alan Levine wrote in a letter to Hellerstein. During testimony, Rechnitz said he currently works in real estate and jewelry. Prosecutors agreed to the request as long as Rechnitz’s wife turns over her passport. The Platinum Ponzi – Seabrook, Huberfeld, Orthodox, Pre-Ordained Wealth versus Self-Made… Prison? We believe that if anyone deserves a lengthy prison sentence for the COBA investment scheme and subsequent losses the members incurred, it is the person or people responsible for the sham investment strategy in which Seabrook invested. Norman Seabrook should not be standing alone. Seabrook was enticed to Platinum by Murray Huberfeld, Jona Rechnitz, Jeremy Reichberg and others connected past or present to Platinum Partners on promises of extraordinarily high returns. He was bated, hook, line and sinker. We believe that while Seabrook may have sold out the people entrusted by him to maintain the safety of their investments, he was simply too lacking in savvy to know how artfully he was duped. He was drawn in by the glitz, glamour and ego- stroking of those who bribed him to invest in their fund. They knew he was going to lose his shirt and the investments of every one of the COBA members. Anyone who thinks differently simply does not know the dynamic. We would tend to believe that the entire affair has left him far from penniless and those for whose investments he was responsible should be outraged. But, he was not the person they should have trusted to do the investing. He had motive, opportunity and not enough smarts to run in the opposite direction. Perhaps Norman Seabrook should have asked himself some more intelligent questions like why they were pushing such a hard sell. Why was he being brought to Israel and treated like a king? Why were Orthodox Jews, who really are generally quite “anti-schvartze” (racist, to put it kindly) spending so much time wooing him? The reality is, “tachlis” (in not so many words), the Orthodox men who were responsible for Platinum, its years of scheming and defrauding investors, likely had numerous laughs over all of the people they conned and continue to scam, Seabrook being the black man who worked his way to the top, an admirable quality but still a Shvartze. To our point, quoting from Too Good to Be True about the rise and fall of Bernie Madoff and speaking on the subject of Ezra Merkin, one of Madoff’s earliest investors, Erin Arvedlund writes: “Wall Street is just twenty guys selling each other stuff, while some schwartzer in the basement does all the work,” Merkin would joke privately. Publicly, however, Merkin acted like a Wall Street sage.” Seabrook could be described as a step up from the guy in the basement; but likely there are those who are still finding his involvement a point of good humor, particularly those who are facing lighter sentences than Seabrook. Sadly, he lavished in the lifestyle they were offering him. One can almost hardly blame him. The men who enticed him are practiced con artists, with a lifetime of experience, born into privilege and by no means altruistic or compassionate. They are responsible for duping the members of COBA who have lost millions and ultimately it is because of them that those members will likely NEVER recover all of their losses. Seabrook wanted his palms greased and in exchange thought he’d increase a portfolio of assets. Platinum knew they were taking money that would cover other losses and it is each and every one of those men for whom the Court’s contempt should be obvious, swift and harsh. The Platinum Partners’ partners were lacking in conscience and compassion when they destroyed the COBA investments and it is they in our view who should pay harshly. But will they? White, Jewish, privileged and politically well-connected, probably they will not. Norman Seabrook, in all of his arrogance as seen in photographs was as much a victim as he was a perpetrator. Sadly, if he had a true “in” with the Chabad/Orthodox community with whom he was fraternizing, he would be sitting with Murray Huberfeld, facing far less time. The color of his skin, the lack of privilege in multiple forms, and the lack of Orthodox providence says a lot in our view. One must wonder if anyone not connected to the Orthodox community in Brooklyn or NYC can ever have an even remotely fair shake, and that includes Norman Seabrook. 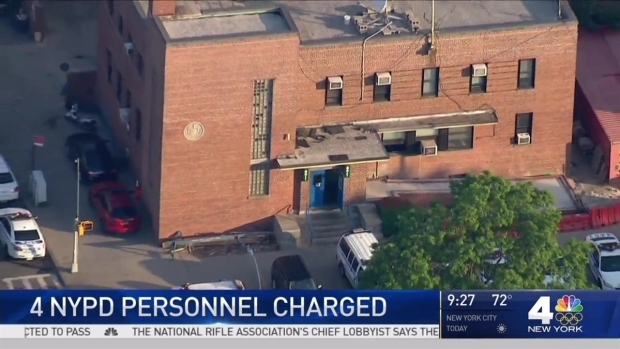 Corrupt jails union boss Norman Seabrook deserves a sentence of five years and three months in prison for his “betrayal of trust and priority of greed over responsibility,” prosecutors wrote on Monday. 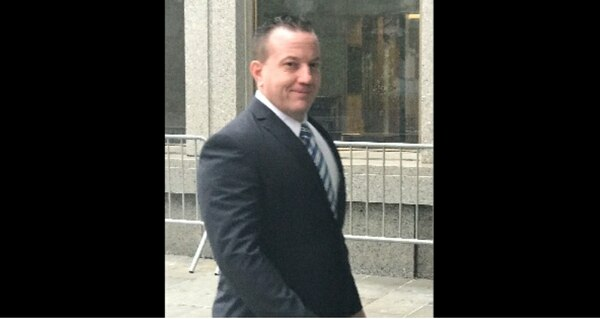 The former head of the Correction Officers’ Benevolent Association will be sentenced Friday for taking a $60,000 kickback in 2014 in exchange for a $20 million investment in a hedge fund that ultimately went bankrupt. “He acted greedily, recklessly, and brazenly,” Assistant U.S. Attorney Martin Bell wrote in a memo filed in Manhattan Federal Court. Once one of the city’s most powerful labor leaders, Seabrook earned roughly $275,000 a year while wielding tremendous influence over all aspects of city jails. “But he wasn’t satisfied with his power or his paycheck. He betrayed the rank-and-file correction officers whose interests he ostensibly represented for his own private gain,” Bell wrote. In his own letter filed last week, Seabrook cited his many accomplishments for the roughly 18,000 current and retired members of the union. He was found guilty last year but maintains his innocence. “Allowing Seabrook’s achievements as the president of [the Correction Officers’ Benevolent Association] to prevail substantially over the need for a punishment … would send the wrong message to society and to the hardworking correction officers whose retirement money Seabrook jeopardized for an easy buck,” Bell wrote. To continue reading click, here.